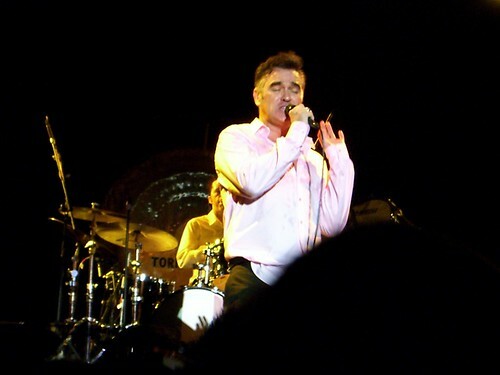 Morrissey Live, but not tomorrow. Morrissey & James Dean, originally uploaded by marrymerowland. photo by marrymerowland, not by me, but from this tour, in may. i cant wait until it is rescheduled. 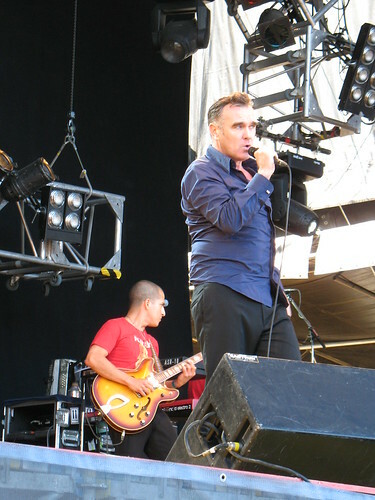 Morrissey @ Ruisrock, originally uploaded by Pale Clouded White. soon. soon it will be rescheduled! 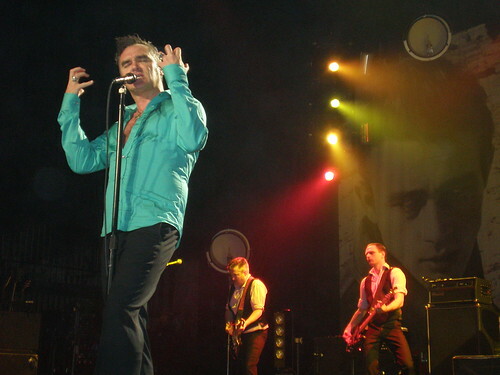 Morrissey, originally uploaded by mrmatt. Please be advised that due to illness, the Morrissey concert performance originally scheduled for Saturday, June 30, 2007 at Madison Square Garden has been rescheduled. A new date will be announced soon. Please retain your tickets. All tickets marked Saturday, June 30, 2007 will be honored at the new performance. For more information regarding the new date of this show, please continue to monitor . We apologize for any inconvenience this may have caused you. We look forward to your continued patronage of Madison Square Garden. Will I still be human? Does it have to come. And what must come before..
Oh! The pain in my arms! Oh! The pain in my legs! I never said I wanted to. Oh yeah! and oh yeah! And, Oh yeah! and oh yeah! And, Oh! my shiftless body. Tell me, tell me that you love me. Oh! I know you don’t mean it. Morrissey regrettably had to end his show at Boston’s Bank Of America Pavillion last night after 30 minutes due to a throat infection that made it impossible for him to continue. The audience of almost 5000 strong experienced a fantastic opening 7 numbers that included classics The Queen Is Dead and The Last Of The Famous International Playboys. In the intro to National Front Disco Morrissey explained to the audience that he was ill and said “unfortunately it will not just be the emotions cracking tonight but my voice as well.” Three songs later he was unable to continue and the show came to a cose. Morrissey was seen by a doctor immediately and put under strict orders not to sing for 3 days. As a result the shows in Northampton, Mass tonight and Philadelphia on Friday night have also been postponed. It is hoped that new dates will be announced for each city in the next 48 hours. All tickets will be honoured for the new dates. The tour will continue in New York at Madison Square Garden on Saturday night as scheduled. More information will be posted here as it becomes available. photos of my husband out and about @ various shows, art events, etc. i have had a member join already (since last night) and two photos posted! this could get really fun!